VIDEO: Maggots ate his face so he hid in a hole to die, what happened next will truly amaze you! A group in India found Kalu inside a hole inside the perimeter of a construction site. 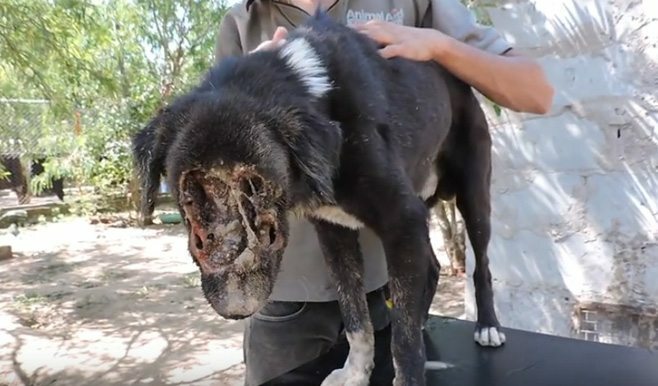 His face eaten through by maggots, lead to the exposure of his skull. The Animal Aid Unlimited in India write that his recovery was the most amazing one he had ever seen.